It's hard to believe that schools are back in session and fall is on its way. Now is the time to be thinking about what to discuss with our vendors while you attend the Annual Conference. We encourage you to come prepared to talk with our great partners and have them answer your questions or address any concerns. Plans are underway for the 2016 PPMA Annual Conference. Be on the lookout for registration information as well as a full agenda. Pesticide credits have been applied for in PA, NJ, MD, DE, and WV. The board of directors and planning committee are excited for you to join us on November 6-8 in Lancaster, PA! The Versant Strategies team would like to congratulate Ron Lofgren and John Morrison on their retirement from the Western Division Board. Their service is unparalleled. Read more below! Also, congratulations to Marty Overline who was featured in the August PCT Magazine! Read the full article below or by clicking here. Keeping your dues current is an essential part of maintaining a robust, effective organization which provides many benefits for its members. Help us help you! John Morrison has worked for D-Bug, a family owned business, for 35 years and has seen the company grow from a small family-owned business established in 1939 in Latrobe, PA to a company that offers expanded pest control services to customers in 10 counties. He has also been a guiding force in PPMA's Western Division for many years, serving as the Governor for the division, and as President of the Pennsylvania Pest Management Association from 2008-09. After a dedicated career in the pest control industry, John's looks forward to spending his retirement traveling with his wife, Judy, fishing and spending time with his grand kids. As originally published in the August edition of PCT magazine. Marty Overline enlisted in the military his senior year of high school - not to serve in combat - but to fight bed bugs. Stationed in Frankfurt, Germany, Overline recalled: "The base hotel was literally ridden with bed bugs because the transit situation was in and out, in and out," said the U.S. Air Force veteran. "I just happened to be stationed at a base where that presented itself. They had dining halls, they had dormitories, storage areas." Overline said the training to be a pest control specialist was as demanding as any other position, and he was provided with extensive amounts of information to fulfill his missions. "There have been more troops put out of action because of sickness and disease than because of bullets and bombs in any war," he said. "So the military was really high on pest management." Overline separated from his job as an Air Force entomology engineer in 1982. In 1994, he founded Philadelphia-based Aardvark Pest Management. The company performs solely commercial work at accounts such as dormitories, dining halls within colleges and office buildings - similar to what Overline serviced for the military overseas. In January 2015, Overline noticed he was not the only veteran who could possibly benefit from working as a PMP. 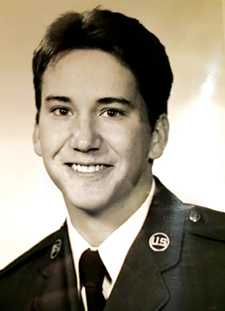 He went to the National Pest Management Association with his idea to start what is now called PestVets, a committee dedicated to educating and providing opportunities for veterans within the pest management industry. "You don't necessarily have to come out of the military as a pest control veteran like I did," Overline said. "Just by the training they give you in the military and other areas, I always thought there should be some type of veterans group." Only one-and-a-half-years old, PestVets has focused on creating awareness among veterans of career opportunities in the pest management industry. The next step is to create awareness among pest management companies of this skilled workforce. "Often, returning veterans have skills that translate perfectly to pest management. We want to educate them about the viability of a career in the pest management industry and make them aware of any job opportunities before they even return home." Skills from the military such as leadership and being trained in vehicle safety, organization, first aid and canine handling are, to name a few, useful for pest management, said Overline, the recipient of NPMA's/FMC's first-ever Veteran of the Year Award, which he received at Legislative Day in March. When Overline traveled to pest control events, he noted there was no veterans group and as a first-generation owner, it's hard to penetrate the inner circles of the industry to get started, he said. "It's a lot of second-, third- fourth-generation stuff," he said. "You don't really find anybody like me too often, first generation, that gets involved like I have." PestVets is progressing with its summer goals of creating a recruitment-related video series, and with the help from FMC, a section has been created on NPMA's Career Center for NPMA members to post complimentary advertisements for position openings targeting veterans. (These ads will be tagged as "PestVets" ads.) "I've never been to a meeting where there's more ideas going around or more active participation," Overline said. The author is a PCT editorial intern. disinsection for all U.S.-origin shipments to China. Disinsection means killing live mosquitoes, their larva, and eggs. Fumigation is one type of disinsection, but spraying is another method of disinsection. Recently, NPMA participated on a stakeholder call facilitated by the U.S. Department of Agriculture Foreign Agriculture Service (FAS). FAS reviewed the new Chinese Zika treatment guidance provided by the U.S. Embassy in Beijing following an August 18th meeting with China's General Administration of Quality Supervision, Inspection and Quarantine (AQSIQ's) Department of Supervision and Health Quarantine. Lawmakers are now out until June to meet and work with constituents before the completion of the 2015-2016 Session. They are scheduled to return the end of September. No legislative action was seen specific to PPMA's interests.